Occurring in Germany at a time the Karmapa was touring there, the untimely death of Kunzig Shamarpa inevitably gave rise to some speculations. More important than this coincidence and associated elaborations about karma or even magics is, however, what implications his death has on Tibetan politics at large. 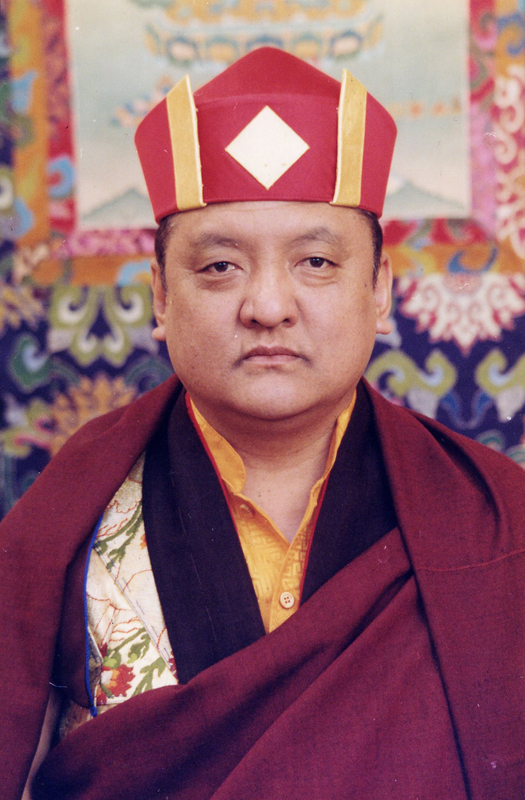 Central is that it remixes the cards in a dispute which lasted on the Tibetan exile society for more than two decades and considerably constrained the radius of action of the Karmapa after his arrival in Indian exile, a fourteen years ago. That it happens at a point of time India is entering a new political era makes it potentially even more significant. Arguably, India’s foreign policy establishment has been since Nehru’s time more inclined to search common ground with China than be supportive of Tibet. To say the least, it certainly did nothing to facilitate the young Karmapa’s life. China itself, though irrevocably recognized Urgyen Thinley Dorje as the rightful Karmapa, did its best to entertain ambiguities around his embarrassing flight, in a move designed to save face in the first place, but that also left the backdoor open for a possible later return. Still, it was Shamar Rinpoche that understood best how to instrumentalise residual China angst and instill deep suspicion among the Indian security community, a community so prone to paranoia that up to the 1990s it rejected infrastructure developments in border areas out of fears they could facilitate a possible Chinese invasion. With that, he could lame the young Karmapa’s movements in India while effectively barring him to travel abroad for many years. Shamar Rinpoche certainly was more efficient than China in terms of ‘containing’ the Karmapa. However, despite his opposition to Dharamsala and contrary to others – think Shugden – he never ‘played the China card’ by moving politically closer to Beijing. For one he was practical, not opportunist, but any move in this direction would have ruined the good relationship he entertained with the security establishment in Darjeeling/Kalimpong region anyway. Despite all his efforts and very supportive followers, Shamar Rinpoche had been losing ground lately, as the visit of the Karmapa to the US and now to Europe demonstrate, and, even more so, the trip of his arch-rival Situ Rinpoche to Malaysia in late 2012. Even the Chinese propaganda apparatus started some months ago to take a more distant and increasingly critical course towards Karmapa. 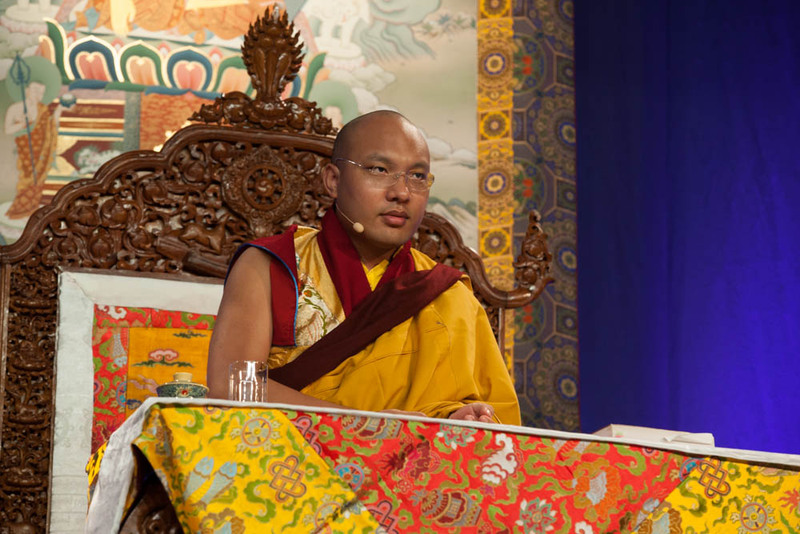 His sudden death, however, likely, sounds the knell of a fully new era for Karmapa. By all his skills and dexterity, there is little indication that Shamar Rinpoche, though well-acquainted with Buddhist notions of impermanence, has taken much of dispositions towards his succession. His strengths were the verve and determination typical of the Khampa chief he was – like some other Tibetan politicians. His power relied on personal charisma and a good knowledge of the terrain. His weakness was his little ability to translate this into durable structures and the lack of trust and confidence necessary to groom an adequate successor. With that, his disappearance leaves a vacuum his entourage will find hard to fill. Even Trinley Thaye Dorje, his protégé he worked two decades to establish as the rightful Karmapa, did not strike so far as a strong personality and in fact never really came out of the shade of his mentor. Much will now depend on the new Modi administration as well as on Modi himself. India’s recently elected PM has already shown a special interest in the Himalayan border regions as well as a keen intent to stand up to China. This could translate into a new, more positive approach to Karmapa, although on the other hand the flag-waving circles who surround are typically more inclined to skepticism towards Karmapa. In any case, Modi already stands under pressure from Indian Buddhists to come out in support of Karmapa, in the first place from Pawan Chamling, the Chief Minister of Sikkim, who was fast in clarifying one more time that he wishes Karmapa to visit Sikkim and reintegrate Rumtek monastery, the seat of the Karmapa school which has been stuck in legal disputes. Even Modi could not single-handidly forestall or override pending court decisions, but he could set a symbol by allowing Karmapa into Sikkim. China was never keen on a strong Karmapa since he escaped their control. In so far, if Shamar Rinpoche was no ally, he was certainly convenient. Remains the question how China may react now. One thing it could do is encourage the finding of a new Shamarpa incarnation in Tibet and so try to progressively lure the followership of the late Shamar to its side and against Karmapa, although without endorsing Shamar’s choice. But it could also chose more wisely to do nothing and simply wait and see how the two camps sort out their differences, hoping to be able to benefit one more time from in-fightings among Tibetans and perhaps attract one or the other defector. 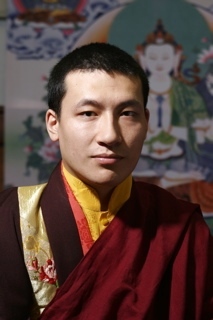 The article is a slightly revised version of “On Shamar Rinpoche’s death and the future of Karmapa” posted in Tibetsun. Thierry Dodin is a Tibetologist linked to the university of Bonn in Germany. From the 1990s on, he was a contributor and later a trustee and the executive director of the Tibet Information Network, London. Since 2005, he has been the founding director of TibetInfoNet. M. Dodin being (like myself) French and so brave, if not foolhardy, I’ll suggest him to start arguing with any khampa chief he meets (taller than him by one foot, of course). Of what I understand, on the Chines side , THE Karmapa left Tibet to “pick up his musical instruments” (yes, Xinhua wrote this) and will come back anytime. Some 4/5 years back there were obvious attempt (through mailand sponsors of Dzofgchen) to drag the Zhamarpa into rebuilding massively Yangpachen (now 15 minutes drive from the Golmud-Lhasa railway line – quite far from Kham). The Zhamarpa had relatives active in Lhasa in the late 80’s, I don’t know for now. As I mentioned elsewhere, the decision is on HH the Dalai Lama’s hands. You jump about Trump, but keep silent about Modi? At least the boss of Diamand Way Germany called me and complained about that article and my Nydahl criticism on one of my German websites. I asked him if he can find any fault, if yes, I am happy to correct it. But he didn’t point out any fault, rather he seems to have been upset that I dare to post critical material about Mr Nydahl (and his background). After my offer to correct any faults he can hint, an offer he declined, he then tried to blackmail me, telling me how harmonious German Buddhists under the umbrella of the German Buddhist Union (DBU) are and that I undermine that harmony by posting these articles. He said something around these words: “Since you are also a teacher in the study program of the German Buddhist Union and therefore represent the whole DBU, it is not appropriate to post such articles.” He suggested that posting these articles will make me an inappropriate person for the study program of the DBU, phrasing his point in a way that I understood that I risk to be removed as a teacher from the DBU study program. I gave him a frank reply and stopped the conversation. As for the Ole (1) I already gave my opinion last year (2), but your interlocutor has possibly a point, and he certainly can use it against you. I don’t pretend to give advice, and the problem is very general: when one deals with controversies, one will end up controversial. Once one is ordained (and I don’t think there’s much space for ordained monks in this Western world – and there will be less and less space in Asia) it’s better to be more withdrawn, not to concern oneself too much about about worldly activities and people, and keep impartial. Things may displease one, but one has to remember that opinions expressed by an ordained person will be taken in a special way – one has to learn to be silent, or very careful, at least. This is not a critic, nor a warning, my point is that, if I understand well, your experiences with NKT so on (I was surprised that you were at a point attracted to the Roach delirium), had been pretty heavy (or damaging whatever), so don’t go into another burnout. They’re deluded … what can we do? Nice to have a fresh voice here. Thanks for your comments. I agree with the monk thing. What supports wrong developments? Silence. Neither the Buddha nor his monks were silent when there were wrong developments or accusations. They were taken seriously and were examined openly. Accuser and accused were gathered together with the community and the Buddha inquired about the cases. We have a strange situation in the West. Don’t know what at the end is really right. Silence maybe not. Different times I tried to delegate these issues to the head organisation of the German Buddhists, nothing has really improved. Different times I wanted to either stop or dissolve the blog but was asked not to do it. Never in the history of the Karma Kagyu Lineage has a Dalai Lama been responsible in recognizing a Karmapa. The Karmapas existed well a couple of hundred years before the Dalai Lamas – and the fact that the Chinese officially recognize Orgyen Trinley makes the whole thing very fishy. The Chinese are also responsible for disappearing the reincarnation of the Panchen Lama and they would also love to control the next reincarnation of Dalai Lama. Read the historical facts. When Politics & Religions get mixed it gets quite messy. Never in the history of the Karma Kagyu Lineage has a Dalai Lama been responsible in recognizing a Karmapa. Also here the Dalai Lama was not responsible for recognizing a Karmapa. It were the four main disciples, Shamarpa, Tai Situpa, Gyaltsab Rinpoche and Jamgon Kongtrul. All four agreed on one candidate initially and later Shamarpa stepped out of that recognition to find his own candidate. Shamarpa, sadly, lied in the process that a great Sakya lama (I think it was Choegye Trichen Rinpoche – when I remember correctly) recognised his candidate. The Sakya Lama was asked if this is true, he denied … I think, its obvious that this is a disharmony creating setup. So finally the Tai Situpa and Gyaltsab Rinpoche – Jamgon Kongtrul died on the way to their initial agreed upon candidate (when I remember correctly) – asked the Dalai Lama for his position and he agreed with their initial finding. So, the Dalai Lama only approved what was initially agreed upon and held as correct by the other three candidates. This is not uncommon. Its also not uncommon that other high lamas step in a recognition and approve it. and the fact that the Chinese officially recognize Orgyen Trinley makes the whole thing very fishy. in your or Ole Nydahl followers’ view. But the recognition came right from within the Kaygyu school and not from China (initially) and that China later stepped in (as the Dalai Lama only later stepped in) might have to do with their political aims to have control over Tibetan Buddhism, having control over the Karmapa, couldn’t there be anything better than this for PRC? So, not necessarily fishy. Rather, understandable from Chinese political pov. The Chinese are also responsible for disappearing the reincarnation of the Panchen Lama and they would also love to control the next reincarnation of Dalai Lama. Read the historical facts. Nobody disagrees with that, that’s why its understandable that China approved the Karamapa candidate which was under their control, as I said already. When Politics & Religions get mixed it gets quite messy.